Fleep User Stories is a series of blogposts that tracks the lives and experiences of the teams and startups that use Fleep in their daily business. This time we talked with Ave Habakuk, the community manager at Lingvist. 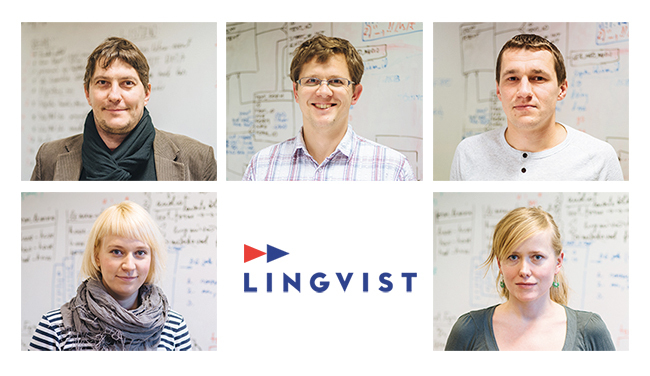 Lingvist is a smart language learning software that aims to significantly reduce the time needed in language learning. We do this by tailoring the learning process to every individual user in real time, to best suit their knowledge and skills. The technology of Lingvist combines mathematical methods from nuclear physics (CERN) with contemporary language science and is developed by the people who created Skype. Although all this sounds incredibly complicated, learning with Lingvist is actually rather simple. The program is currently in private beta. The company was founded just over a year ago by Mait Müntel, Ott Jalakas and Andres Koern. The company’s inception came about after Müntel, who has a background in physics and had been working at CERN for several years, became interested in learning French and couldn’t find a fast enough way to do so. Altogether there is 8 of us here at Lingvist and incredibly enough, we are spread out across 4 locations – Tallinn, Tartu, Stockholm and London. Having everyone on the same page and sharing information is essential for quick progress of a startup. I suppose one could say that Fleep is something like our water cooler, where we all meet daily and where all the important conversations happen. Jaan Tallinn, an investor we share with Fleep, suggested we take up using it since according to him, it is the best communication app for building a startup. We mostly use Fleep for conversations that are centered around particular topics or projects, some of the most recent include setting up new metrics or hiring an UX designer. It is really great that not all the participants have to be online for the conversation, which is something that happens often with people working in different time zones. It is easy to back track and see what was discussed while you were away and still have access to the files that were set up, such as screenshots of CVs. Most of the Fleep chats are between our team members, but we also occasionally include people from outside of the team, as it is more convenient to have a multiparty conversation on Fleep than on e-mail. We have come to use Fleep for quick access to some frequently needed information. For instance the UK phone numbers of team members temporarily in London are pinned to the sidebar of our TechStars conversation and some frequently needed access URLs are pinned to the development chat. No need to go through e-mails or bug your colleague several times – the information is just there, highlighted next to the relevant topic. So much about Lingvist, one of our cool startup Fleep users! But this is not the only story from our users we have, if you’d like to get more stories like this in the future as well, feel free to follow us on Twitter (#fleepstories) or Facebook and check out the rest of the stories as well.